Careful with that laughing gas, it just might be deadly. 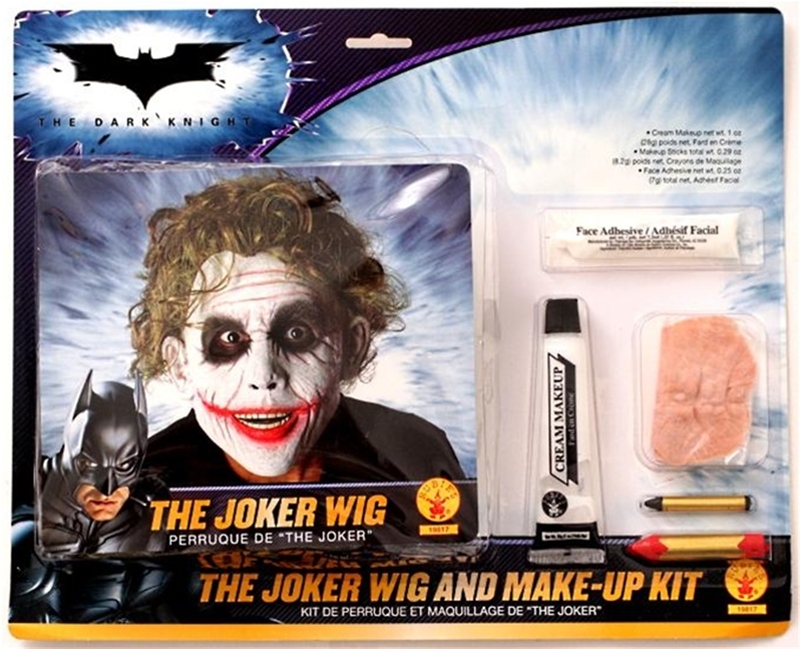 Become the comedic terror of Gotham City with the officially licensed The Joker Deluxe Makeup Kit. This makeup includes all which you need to emulate the iconic look of the Joker from The Dark Knight movie including a wig, one tube of water washable white cream makeup, one small black makeup stick, one large red makeup stick, mouth scars, and face adhesive.